Today the Catholic Church commemorates the feast of Saint Aloysius Gonzaga, a young Jesuit who died at the age of 23. In honor of St. Aloysius Gonzaga, I share with you the list of young saints. These saints and blesseds were all under the age of 25. Again, this is only a partial list and it will be added to in days to come. 1. Blessed Adelard the Younger 7/15th monk. Died at the age of 20. 2. 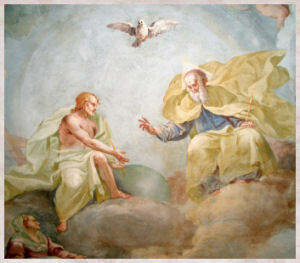 Saint Agapitus 8/18th 15 years old, martyred at Palestrina, near Rome. 3. Saint Agnes 1/21st 12 or 13 years old, martyred under Diocletian. 5. 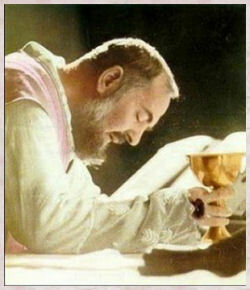 Blessed Alexius Delgado, S.J. 7/15th 14 years old. Jesuit novice killed by Calvinist French pirates. 6. Saint Anatole Kiriggwajjo 6/3rd Ugandan Martyr believed to be around 20 years old*. 7. Blessed Andrew Chakichi 10/2nd 8 years old. Parents Blesseds Louis and Lucy Chakichi, brother Francis. 8. Blessed Francis Chakichi 10/2nd 4 years old. Parents Blesseds Louis and Lucy Chakichi, brother Blessed Andrew Chakichi. 9. Blessed Andrew Trong 11/18th 18 years old. Martyred in what is now Vietnam. 10. St. Anthony Deynan 2/5th 13 years old, altar boy and Tertiary of St. Francis, crucified for the faith in Japan. 11. Blessed Antony of St. Dominic 9/8th 20 years old, Tertiary of St. Dominic, beheaded in Nagasaki. 12. St. Paulillus 11/13th, only a boy and little brother of Saints Paschasius and Eutychian, protomartyrs of the Vandal persecution. 13. Saints Anthasius Badzekuketta 6/3rd, age approximately 20 years old*, Ugandan Martyr. 14. Saint Basilissa 9/3rd 9 years old, martyred under Diocletian persecution. 15. Saint Blaesilla 1/22nd 20 years old, daughter of Saint Paula, disciple of St. Jerome. 16. Saint Bolonia 10/16th 15 years old, martyred under Julian the Apostate. 17. Saint Christopher of Guardia 9/25th 3 years old. 18. Saint Crescentius 9/14th 11 years old., son of Saint Euthymius, martyred under Diocletian. 19. Saint Cyril 5/29th a boy who embraced Christianity without his father's knowledge and turned out of his home, arrested and martyred. 20. Saint Dentlin 3/16th 7 years old. Son of Saint Vincent Madelgarus. 21. Saint Dominic Savio 3/9th 14years old. Pupil of Saint John Bosco. Youngest non-martyr to receive official canonization in the history of the Church. 22. Blessed Dominic Tomaki 6/1st 16 years old. Son of Blessed John Tomaki and three brothers all martyred for the faith. 23. Blessed Dominic Nifaki 6/1st 2 years old. Martyred along with his father Blessed Louis Nifaki and his brother Francis. 24. Saint Dominic del Val 8/31st 7 year old altar boy, martyred. 25. Saint Eulalia 12/10 13 years old, martyred under Diocletian. 26. Saints Eulampuis and Eulampia 10/10th two young brother and sister, martyred under Gallienus. 27. Saint Fausta 9/20th, approximately 13 years old. So steadfast while cruelly tortured that the magistrate, who ordered her tortured, was converted and martyred under Diocletian. 28. Saint Flocellus 9/17th, a youth martyred under emperor Marcus Aurelius. 29. Blessed Francis Nifaki 9/8th 5 years old. Older brother of Blessed Dominic Nifaki and son of Blessed Louis Nifaki. 30. Blessed Francis Taquea 9/11th 12 years old. Son of Blessed Thomas Taquea and beheaded in Nagasaki. 31. Saint Gerulph 9/11 a Flemish young and heir to vast estate, murdered by relative on the way home from his Confirmation and died with words of forgiveness on his lips. 32. Saint Harold 3/25th a child put to death in Glouchester. 33. Saint Diocoros, 12/14th, a youth whipped and then dismissed. His companions Saints Heron, Arsenius and Isidore were martyred under Decius. 34. Blessed Ignatius Jorjes 9/10 4 years old. 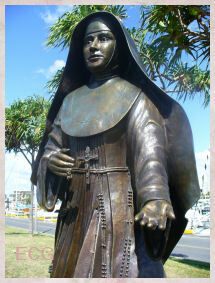 Son of Blessed Dominic Jorjes and Blessed Isabel Fernandez. 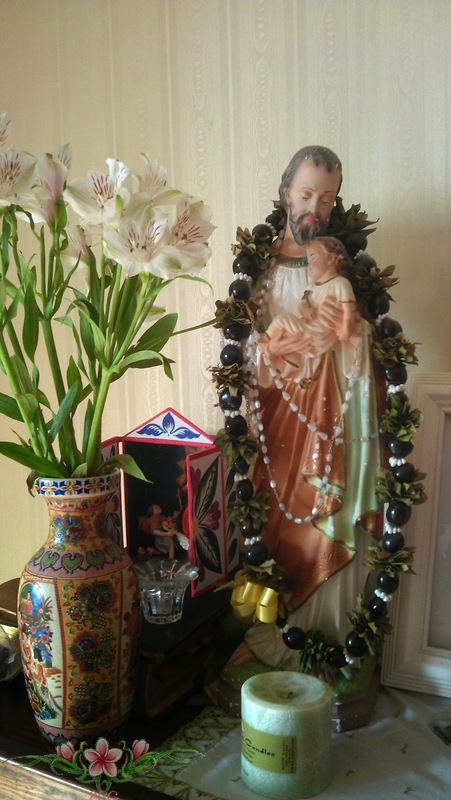 Mother and son were beheaded in Nagasaki for giving shelter to Blessed Charles Spinola. 35. Blessed James Bird 3/25th 19 years old, English martyr. 36. Blessed James Guengoro 8/18th, 2 years old, crucified along with his parents Blesseds Thomas and Mary in Concura. 37. Blessed John of Korea 9/10th 12 years old. Son of Blesseds Antony and Mary of Korea. All beheaded at Nagasaki. 38. Saints Justus and Pastor 8/6th 13 years old and 9 years old, respectively, martyred under Diocletian. 39. Saint Kizito 6/3rd 14 years old. He was the youngest Ugandan martyr. 40. Blessed Laurence Humphrey 7/7th 20 years old, English Martyr. 41. Blessed Larentinus Sossius 4/15th 5 years old, martyred on Good Friday in Italy. 42. Saint Louis Ibarchi 2/5th 12 years old, crucified at Nagasaki. 43. 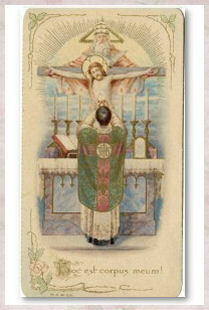 Saint Louis (Ludwig) von Bruck 4/30th, boy martyred on Easter Sunday. 44. 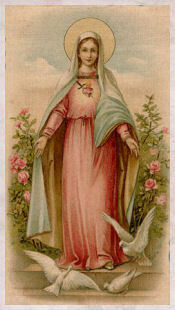 Saint Maria Goretti 7/6th 12 years old, preferred death in order to keep her purity. 45. Blessed Pier Giorgio Frassati 7/4th 24 years old. 46. Blessed Francisco Marto 2/20th 10 years old. Sister Jacinta and cousin Lucia were the three shepherd children at Fatima apparitions. 47. Blessed Jacinta Marto 2/20th 9 years old. Brother Francisco and cousin Lucia were the three shepherd children at Fatima apparitions. 48. Saint Aloyisius Gonzaga 6/21st 23 years old. 49. Saint Eutropia6/15th 12 years old, martyr. 50. Saint Marcian 7/11th youth, martyr. 51. Saint Melorius 10/1st child, martyr. 52. Saint Musa 4/2nd child, mystic. 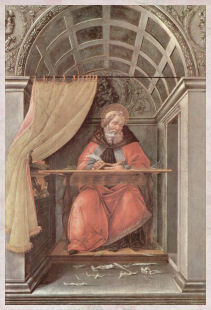 Contemporary of St. Gregory the Great. 53. Saint Neophtus 1/20th 14 years old. Martyr. 54. Saint Nestor 9/8th youth, martyred under Julian the Apostate. 55. Saint Nicholas Peregrinus 6/2nd 19 years old. 56. Blessed Nuntius Salprizio 5/5th 19 years old. 57. Saint Panacea 5/1st 5 years old. She was killed by her stepmother while she was at prayer. 58. Blessed Paul Tomaki 9/8 7 years old. He was beheaded along with his father Blessed John Tomaki and his three brothers. 59. Saint Pelagia of Antioch 6/9th 15 years old. Threw herself from top of her house in order to avoid the loss of her virginity. 60. Saint Pelagius 6/26th young boy who preferred torture and death rather than to apostatize. 61. Saint Pelagius 8/28th boy martyr. 62. Saint Pudentiana 5/19th 16 years old. 63. Saint Reparata 5/19th 12 years old, martyr. 64. 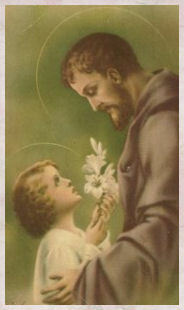 Saint Richard 3/25th child, martyred. 66. Saint Romana 2/23rd 18 years old. 67. Saint Rufinius, Silvanus, and Victalicus 9/4th, children martyred. 68. 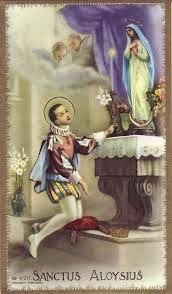 Saint Rumwold 8/28th 3 days old, pronounced profession of faith and then died. 69. Saint Tarcisius 8/15th 12 year old boy martyred protecting the Blessed Sacrament. 70. Saint Zoilus 6/27 youth, martyred under Diocletian. Source: The Book of Saints compiled by the Benedictine Monks of St. Augstine's Abbey, Ramsgate, 1966. A few years ago I started categorizing the saints into such categories as young saints, saints who were husbands, saints who were wives, widowed saints, young saints, saints who were friends of the Holy Souls in Purgatory, as well as for specific causes. Note: Some feast days may have changed as some of the reference books used are older. 3. Saints Artemius and Candida 6/6 - daughter Paulina is also a saint. 4. Saints Basil and Emmelia 5/30th - sons Basil the Great and Gregory the Great, and Peter of Sebaste are also saints, as are daughters Nissa and Macrina the Younger. 6. Saints Exuperius and Zoe 5/2nd - They and sons Cyriacus and Theodulus were slaves and martyred for refusing to take part in their master's idolatrous rites. 7. Blessed Thomas and Mary Guengoro 8/18th - son Blessed James Guengoro was 2 years old when martyred in Nagasaki. 8. Blessed Antony Mary Magdalen Sanga of Korea 9/10th - sons Blessed John was 12 years old and his brother Peter was 3 years old when martyred. 9. Blessed Louis and Lucy Chakichi 10/2nd - son Blessed Andrew was 8 years old and his brother Francis was 4 years old when martyred. 11. Saints Marius and Martha 1/19th - sons Saints Audifax and Abachum. 12. Saints Melasippus and Carina 11/7th - son Saint Antony. 14. Saints Orentius and Patientia 5/1st - son was Saint Laurence the Martyr. 15. Saints Paul and Tatta 9/25th - sons Sabinian, Maximus, Rufus and Eugene all were martyrs. 16. Blessed Paul and Thecla 9/25th - son Peter Nangaxi age 7, martyred along with his parents at Nagasaki. 17. Saints Philetus and Lydia 3/27th - sons Saints Macedo and Theoprepius, all were supposedly martyred. 18. Saints Adalbald and Rictrudis 5/5th - son Saint Maurontus, Saint Eusebius, Saint Clotsindis and Saint Adalsindes. 19. Saints Joachim and Anne - (old feast day August 16th) 7/26th - daughter Blessed Virgin Mary, grandparents of Jesus. 21. Blesseds Dominic Jorjes 3/14th, and Isabel Fernandez 9/10th - son Bl. 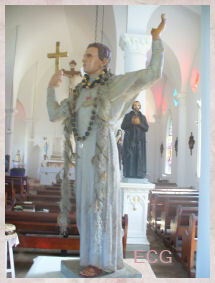 Ignatius Jorjes, martyred in Nagasaki for giving shelter to Blessed Charles Spinola. Irondale, AL –The Denver-based Catholic News Agency (CNA) and its sister organization, ACI Prensa, the world’s largest Spanish-language Catholic news organization with headquarters in Lima, Peru have become part of the EWTN Global Catholic Network. “EWTN has been a partner with both Catholic News Agency and ACI Prensa for many years in creating and distributing Catholic news content, and I am very pleased and excited that these two highly respected news organizations will become a part of the EWTN family of services,” said Michael P. Warsaw, the Network’s chairman of the board and chief executive officer. Under the terms of the transaction, no cash will be exchanged between the parties. EWTN will assume control of all ongoing activities of the two organizations. Alejandro Bermudez, a member of the Sodality of Christian Life who is currently the executive director of both CNA and ACI Prensa Group will continue to serve in that capacity. This move is the latest step in EWTN’s efforts to expand its news presence in the global Catholic digital and multimedia marketplace. In 2013, the Network launched EWTN News Nightly, a daily news program based in Washington, D.C. covering major news events from a Catholic perspective. In 2011, EWTN acquired The National Catholic Register, the leading Catholic newspaper in the United States. The Network also produces The World Over with Raymond Arroyo, the highly-acclaimed weekly news analysis and in-depth interview program. In addition, its radio and digital media services have also greatly expanded their news dimension in recent years. 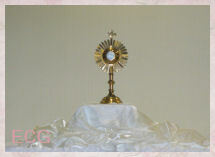 EWTN Global Catholic Network provides multimedia services to more than 140 countries and territories. The Network transmits eleven separate television channels in several languages to more than 230 million homes around the world. It also operates multiple radio services including a network of hundreds of AM and FM stations, a SiriusXM satellite radio channel, an iHeart radio channel and a global shortwave radio service. 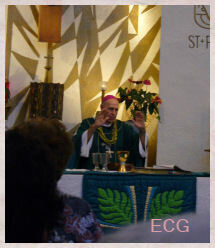 EWTN’s main website, www.ewtn.com, is the most visited Catholic website in the US. Its diverse digital and social media platforms rank among the top Catholic outlets in the world. 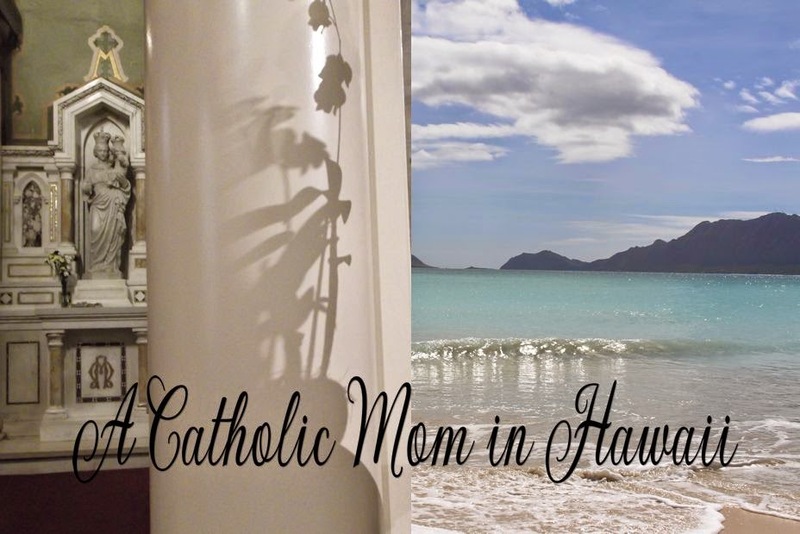 Catholic News Agency was founded in Denver, Colorado in 2004 and has been one of the fastest growing Catholic news providers in the English speaking world. The organization maintains new bureaus and reporters around the world, including Washington, D.C. and Rome. 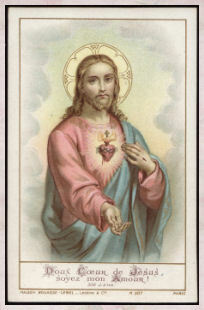 CNA content is made available free of charge through its own website, www.catholicnewsagency.com, and through other websites and outlets includingwww.ewtnnews.com. CNA also provides an editor’s service to Catholic publications, dioceses and parishes. ACI Prensa was founded in Lima, Peru in 1980 by the German missionary, Fr. Adalbert Marie Mohm. It was his desire to provide a steady flow of Catholic news to secular media outlets and end-users throughout the Spanish-speaking world. 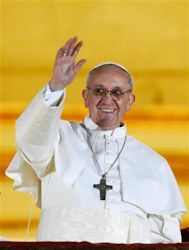 Today ACI Prensa is the largest and most visited web provider of Catholic news in Spanish through www.aciprensa.com and www.ewtnnoticias.com. The organization also operates a Portuguese language service in Brazil, ACI Digital, available at www.acidigital.com. Irondale, AL – U.S. District Court Judge Callie V.S. Granade of Mobile, Ala. issued an opinion on June 17 denying EWTN Global Catholic Network protection from the government mandate that it must provide coverage of contraception, abortion-inducing drugs and sterilization as part of its employee health care coverage. EWTN filed its original lawsuit on Feb. 9, 2012 after the government issued the first set of rules for the mandate. That first suit was dismissed on technical grounds by Federal Judge Sharon Lovelace Blackburn of Birmingham, Ala. on March 25, 2013. EWTN filed its current lawsuit October 28, 2013 against the Department of Health & Human Services and other federal agencies seeking to stop the government from imposing the HHS contraception mandate and protect EWTN’s constitutional rights. The State of Alabama, through its Attorney General Luther Strange joined EWTN as a co-plaintiff in the new lawsuit. EWTN Global Catholic Network, in its 33nd year, is available in over 230 million television households in more than 140 countries and territories. With its direct broadcast satellite television and radio services, AM & FM radio networks, worldwide short-wave radio station, Internet website www.ewtn.com, electronic and print news services, and publishing arm, EWTN is the largest religious media network in the world. The Becket Fund for Religious Liberty is a non-profit, public-interest law firm dedicated to protecting the free expression of all religious traditions. The Becket Fund has a 17-year history of defending religious liberty for people of all faiths. Its attorneys are recognized as experts in the field of church-state law, and won a 9-0 victory against the federal government at the U.S. Supreme Court in Hosanna-Tabor v. EEOC.